Developing a website is crucial and so is with E-commerce website development. Be it any project, there are numerous aspects to consider, right from user experience to website performance. 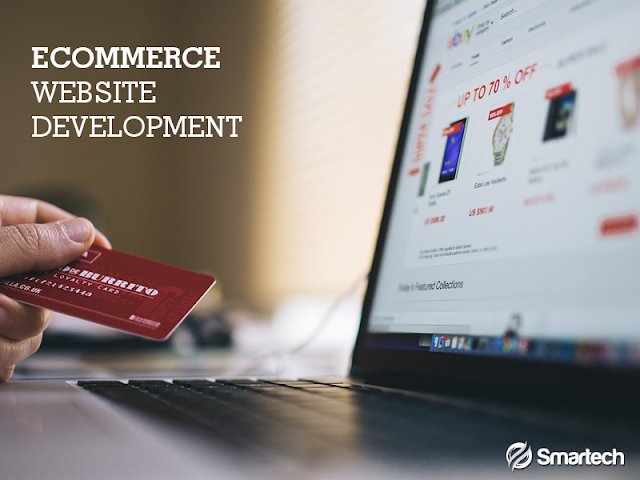 Development of any company website is a complex process but an E-commerce site has its own challenges. Since it is the place where you get potential buyers, developers have to be extra careful to simplify the process. Besides usability, there are a couple of aspects of an E-commerce site which E-commerce website developers have to consider during the development phase. Using mobile devices to access any website is growing like anything. In such scenario, E-commerce sales share a large portion of the traffic. According to statistic reports, one-fourth of E-commerce sales will be made via mobile devices in near future. It means that you should ensure your E-commerce site is fully optimized for mobile devices. It must provide the best user experience to access the site. Implementing responsive design for accessing a website is important to ensure the success of site. Considering mobile users is important to ensure the success of business as the users should find navigation and payment gateway easy to access. Companies willing to have E-commerce sites will often need to allow users creating an account to purchase. It further enables follow-up communication which encourages upcoming sales. It is important to track customers’ demographic information to discover and analyze sales. However, not everybody would be willing to create an account to buy a product. Only repeated customers would like to register and get benefitted of the account. So saving their information for future purchase and getting notification is a good idea but your Ecommerce website developers should also offer an option for people who are one –time buyer. If statistics to be believed than there are only 30% of visitors using E-commerce site search to find out the product they are willing to buy. It is important to ensure the search functionality. Besides, you should also utilize features like autocomplete to enable users find popular buying items based on their searches. In the process of web design and development, faceted search is very important as it assists users find products. This feature allows them to narrow down their search based on size, category, price and other options. Providing such functionality offers users more power to discover what they require. All E-commerce sites should cater to encrypt information which requires remaining secure. It is true for credit card as well as payment information but also for customer information like phone number, address and email. Customers expect the security of their personal information while purchasing online. So it is a good idea to implement SSL to win customers trust. Besides, security is also needed to meet PCI compliance for any kind of business that accepts credit card payments. A slow site is more likely to lose customers. According to a survey, 40% of users will leave a website which takes more than 3 seconds to load. It is true for mobile users who are most often multi-tasking. The Ecommerce website development company you hire should ensure the proper optimization of the website. They further ensure that it should run as quickly as possible.